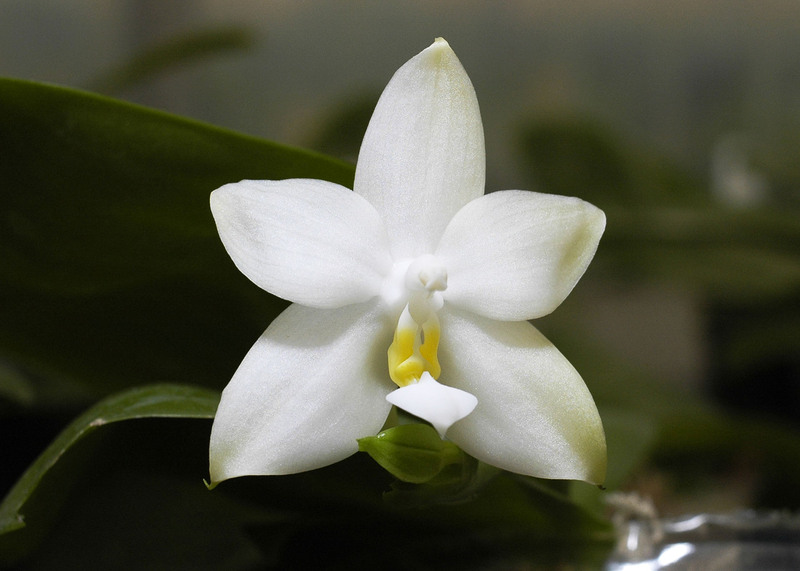 A sibbing of two of the best clones of this rarely available alba form of an always-popular fragrant species ! 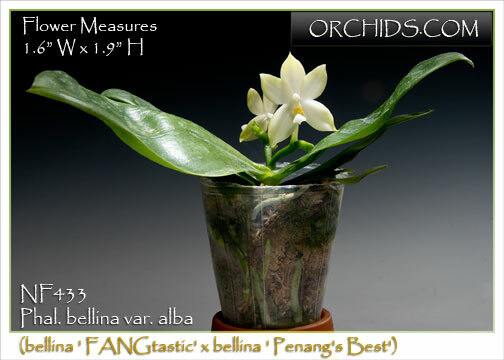 The pollen parent, 'Penang's Best', is from Michael Ooi's strain in Malaysia. Gently undulating glossy green foliage provides a beautiful backdrop for cascading spikes of waxy creamy white flowers touched with a hint of green. 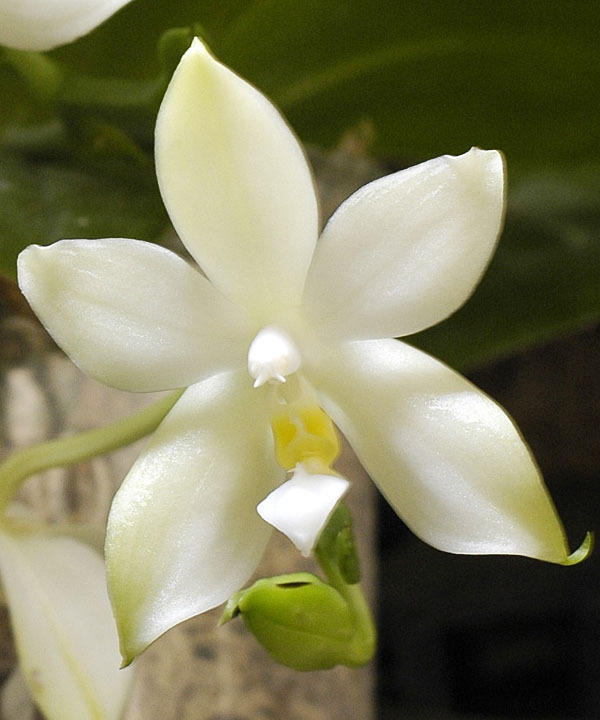 This particular strain has been wonderful and is very vigorous for an alba form. 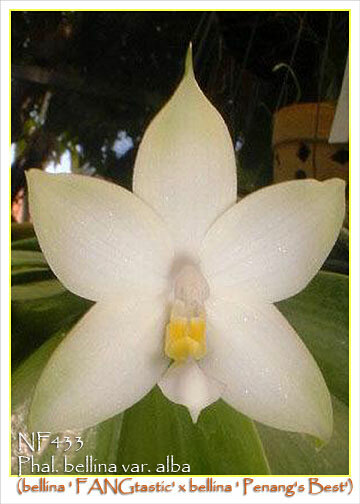 A good grower which performs best under lower Phalaenopsis light conditions. Definitely worth adding to everyone’s collection of fragrant orchids !